In the early 1980s, when non-surgical treatments were unheard of in the UK, we started to develop them at Plastic Surgery Associates, based at Bupa Cromwell Hospital, London. My husband, a plastic surgeon, was able to achieve outstanding natural looking results while sparing the knife. We introduced many of the treatments that have since become part and parcel of medical aesthetics. 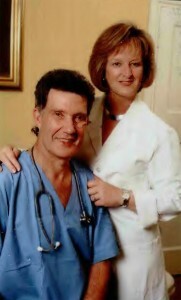 I was writing about non-surgical approaches long before they had become par for the course and predicted the knock-on effect they would have on the future of cosmetic surgery; non-surgical procedures would inevitably outstrip income streams in aesthetic surgery, creating a buoyant non-surgical aesthetics sector. Today, medical aesthetic treatments are a core part of changing a face and a body. Alongside my colleagues at The London Wellness Centre, our focus today is directed at bio-regenerative technologies, where the greatest levels of natural looking enhancement can be achieved. We do this by harnessing the body’s own marvellous regenerative abilities, boosting them with biological acting treatments and products that act from the outside in and the inside out. Developing this knowledge has contributed greatly to our advanced skincare technology company, Medico Beauty. Since its inception in 1989 as a niche advanced beauty tech company, Medico Beauty has been distributing some of the most effective biological regenerative skincare treatments and products available. Medico Beauty only supplies practices and centres with treatments and products that meet our company’s exacting professional competency standards. CosMedix and Results Rx are Medico Beauty’s leading brands. Not only are they cutting edge, but the products are based on the effects of chiral correction. This science underpins all Medico Beauty’s Advanced Skincare and Treatment ranges. All our lines are botanically based, artificial fragrance, dye and animal cruelty free and deliver fantastic results, regardless of skin-condition, type or colour. Medico Beauty’s impressive ranges represent the most advanced, unrivalled skincare worldwide. The ranges are niche, because they are not only based on safer, more effective ingredients, but on Nobel Prize winning technology. In addition, all the elements in the lines are backed by a host of experts, from formulators, FDA approved laboratories and expert clinicians. The ranges are only found in leading centres of excellence. We have years of proven clinical results, particularly when it comes to CosMedix and Results Rx. Long before we introduced treatments such as Botox, we worked at pioneering bio-regenerative tissue viability and skin health restoration. We are the leading clinicians in the science of bio-regenerative technologies, changing skin gently without irritation, inflammation or downtime. See, haven’t aged a bit! As a passionate skincare expert, one of the things that I love most about CosMedix and Results Rx are their versatility in making a difference to face and body, whether a client is choosing to use our skincare ranges alone or combining them with other treatments. Each treatment and product blends beautifully as maintenance products or can tackle the most challenging of skin issues, delivering results which cannot be recreated elsewhere. We believe in all our ranges at Medico Beauty and we know you will, too. They correct, they enhance, but above all they deliver.